Would you like to earn money while you shop online? I hope the answer is an easy YES! Today I want to tell you about my experience with TopCashBack, a website that allows you to earn cashback on your purchases at thousands of online stores. First of all, you should know that I’m a bit of a cash back junkie. With all the online shopping and sourcing that I do, why not get paid a little extra? So you can imagine how thrilled I was when I discovered TopCashBack, a new (to me) site that offers really great cashback rates and fast payouts. If you’ve been around a while, you know that Ebates is usually my go-to pick for cash back. 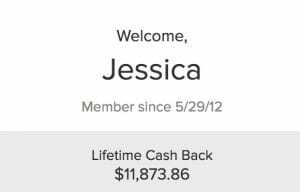 In fact, I’ve used Ebates to earn over $11,000 in cash back! But even with all that earning experience under my belt, I have to admit that it’s not perfect. Recently, a blog reader was singing the praises of TopCashBack, which I had heard about but not really tried out. She was explaining how they have way more payment options and flexibility. After a little more research, I learned that they often offer a higher percentage in cash back, too. Well, that was enough info for me to give it a whirl! Now that I've used TopCashBack for a while, I am happy to recommend it to anyone that does their shopping online. 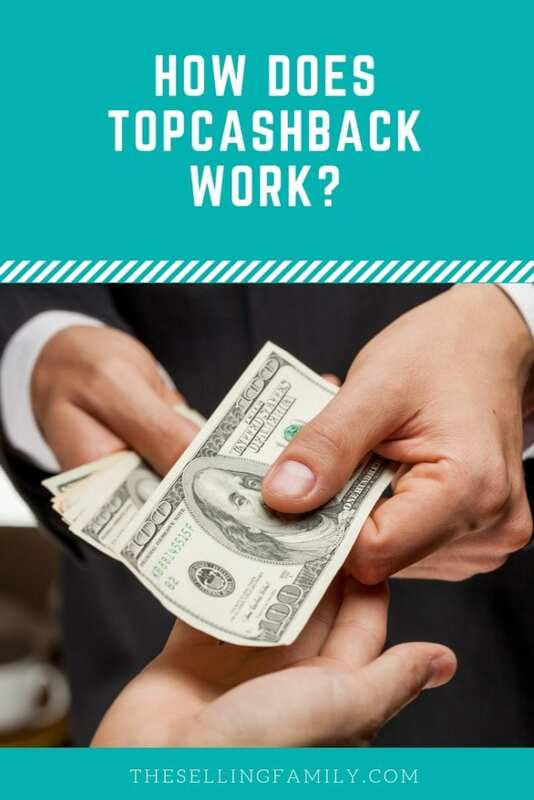 I want you to know all of your cash-back options, so today I’m sharing a little more information about Top Cash Back (like how it compares to Ebates) and how you can use it to make some extra money! TopCashBack is an online cashback and coupon site. TopCashBack launched in 2005 in the UK and introduced themselves to US shoppers in 2011. TopCashBack has partnered with thousands of online stores. When a shopper makes a purchase at one of those stores through a TopCashBack link, the store gives Top Cash Back a percentage of the purchase price as a referral fee. So, basically, TopCashBack is making a small commission on your purchase. But instead of pocketing that commission themselves, TopCashBack actually gives the whole referral fee back to you in the form of a cashback bonus. Wondering how TopCashBack gets paid? They actually make their money by selling advertising space on their website. That's how they're able to give you the full cashback percentage (and why they often have higher cashback percentage rates than other cashback websites!). Using TopCashBack to earn cash is super easy. To start, you'll need to create an account on TopCashBack.com. It's free to join and you just have to give them your name and email address. Once you have an account, you can start browsing for websites and deals on their home page. You'll usually find their features stores right at the top. Those are good to check because they might be running extra deals (as I'm writing this, they're offering 8% cashback at Macys.com). Of course, if you already know exactly which store you want to shop at, you can just search for it in the search bar. Today, I was looking for Barnes & Noble which I found with a quick search. After you find the store, all you have to do is click that pink “Get Cashback Now” button and you'll be taken right to the store website in a new tab. It is important that you complete your purchase directly from the click of that button. 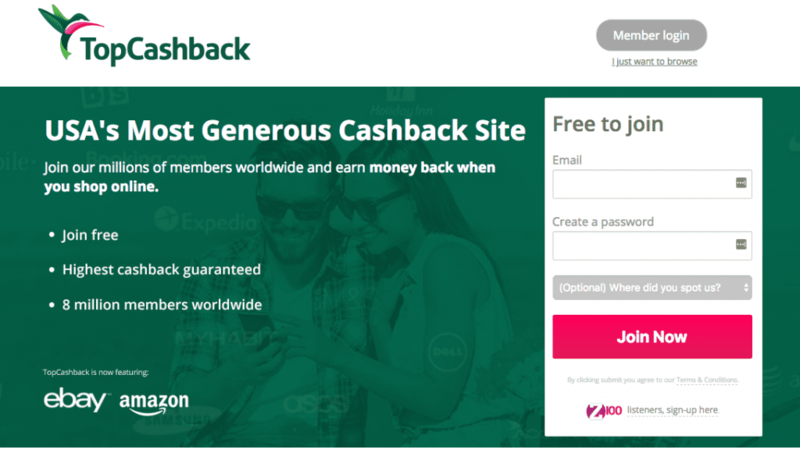 If you close the store tab or navigate away to another website, you might lose your special TopCashBack link (and lose your ability to earn cash with it!). Once you've completed a transaction, the cash back will automatically appear in your Top Cash Back account. TopCashBack will give you an estimate of when you should expect the cash to appear. For some stores, this will be faster than others. 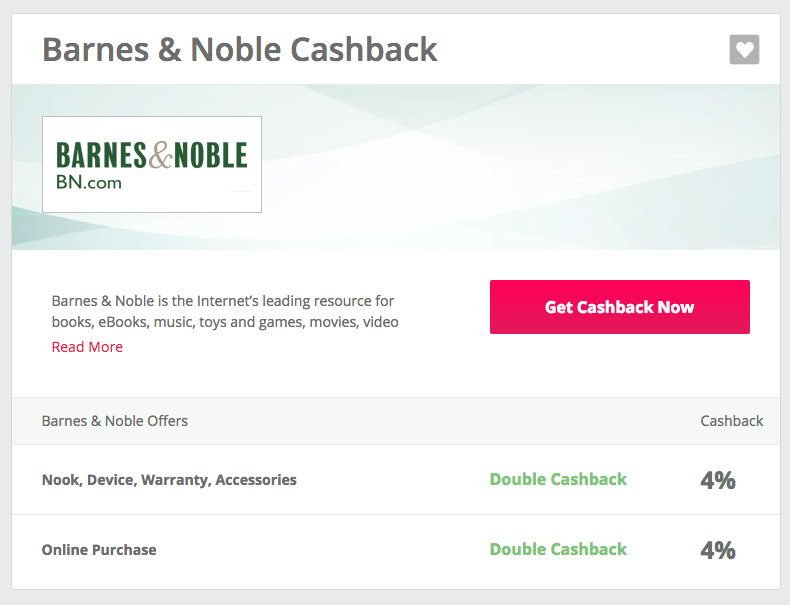 For Barnes & Noble, for example, the cashback only takes about an hour to process. You can always view the status of any Pending, Confirmed, or Payable cashback in your Account settings on TopCashBack. Basically, if you get in the habit of starting your online shopping over at TopCashBack.com and follow their links, you shouldn't have any problems getting your cashback! You can use TopCashBack's collection of coupon codes to have even bigger savings when you shop online. This is great for everyday online shoppers, but it's extra helpful for Amazon FBA sellers doing Online Arbitrage. 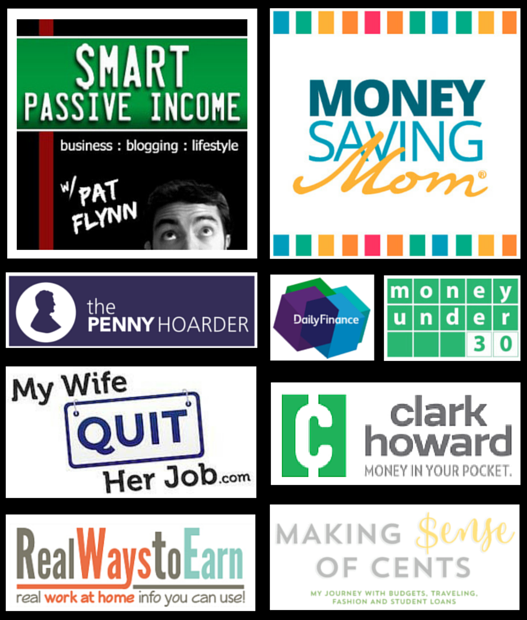 Once you start stacking savings, you can really increase your profit and ROI. The coupon codes can be found right below the cashback offers on any retailer's page on TopCashBack. Over on Barnes & Noble, I saw these two offers right below the 4% cashback offer. The 2nd offer looks like it would work for me today, so I just click “Click to Reveal” to get my code which I can easily copy/paste and then use when I complete my purchase. So now I'll get 20% off my purchase and I'll get 4% cashback on my total purchase price! All I had to do was check TopCashBack before starting my order. There are currently over 4,400 stores on TopCashBack for you to choose from. That should give you plenty of shopping to do! Let's take a look at some of the more popular stores that I saw over on TopCashBack. It's easy to browse for stores that might interest you by category, popularity, or highest cashback percentage offered. Feel free to do some browsing and comparing on TopCashBack. That way you can see which stores are currently offering the best deals. If you're torn between shopping at Walmart or Target, maybe the one with the better cashback will win you over!! Now for the good part: cashing in on your cashback! Luckily, this is where TopCashBack really shines. One of the biggest limitations with Ebates is that they only pay you 4 times per year (on their set schedule). And you have to have at least $5 in your account or you're stuck waiting until the next payment date. TopCashBack has really flexible payout options that reduce the hassle of getting the money you earned. Any money that's eligible for payout will be in the “Payable” section of your Earnings dashboard. Other cash may still be pending while the retailer is still confirming the details of your transaction with TopCashBack. Once you have a Payable balance, you can request a payout. And yes, I mean once you have any payable balance! On TopCashBack, you can request a payout with a minimum balance of just $0.01! How you get your cash is up to you. The most traditional options are through a direct payment: you can request an ACH transfer right to your bank account or receive a deposit to your PayPal account. You can also get paid in the form of a gift card. To sweeten the deal, TopCashBack will give you a payout bonus if you take your payout in the form of an Amazon Gift Card, American Express Rewards Card, or Visa Prepaid Gift Card. The Amazon bonus is usually an extra 2.5% on top of your payout amount, but it's often as high as 5%! I really like how TopCashBack lets you decide when and how you get your money. If you want cash, go for it. If you want to maximize your earnings with a gift card, that's all good, too! Is TopCashBack a Scam or is it Legit? TopCashBack is a completely legitimate website that has been operating since 2005. They let you track the reliability of their cashback partners and they even offer a cashback guarantee (if you find a higher rate at another cashback site, TopCashBack will happily match that rate). Top Cash Back is a great way for you to save money when you're shopping online and I highly recommend it due to their high rates and easy payout options. I've been really impressed by TopCashBack since I recently discovered them. I wanted to run down my top highlights for anyone who's still on the fence about trying them out. I wanna hear from my fellow cashback addicts! Let me know how much you're earning in the comments below. If you're new to cashback or if you're giving TopCashBack a try for the first time, tell me all about your first payout! Did you go for the Amazon gift card bonus or did you just want sweet sweet cash in your bank account? There's no wrong answer!! Can you double dip using them and Ebates on one purchase? Also, a while ago I tried their chrome extension but only gives you the option of UK and India. No, unfortunately, whichever one you are on last will be the one you get credit with. can you get ebates too when on the TopcashBack site?